Organizers of the "Protect Texas from Radioactive Waste Tour" plan to travel to five Texas cities over the next week in protest of a proposed plan to store used nuclear materials in West Texas. The tour's organizers said they want to make people aware of the "high risk" implications of a proposal to build and operate a facility for 40,000 metric tons of irradiated fuel rods at an existing site in Andrews County. 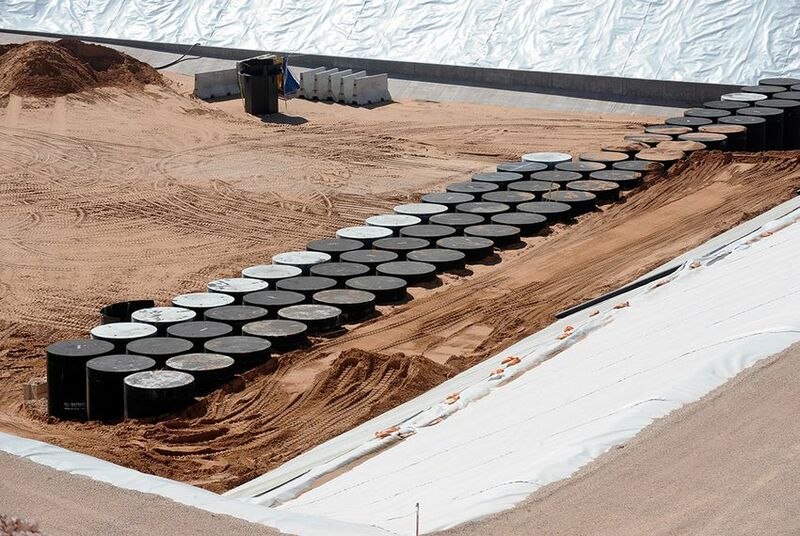 If approved by the Nuclear Regulatory Commission, the project by Interim Storage Partners, a joint venture between Waste Control Specialists and Orano USA, would transport nuclear waste from around the country to the consolidated site in Texas and store it until a long-term storage site becomes available, according to the venture's website. The Nuclear Regulatory Commission said in an August letter it would begin reviewing Interim Storage Partners' license application and that its safety, security and environmental reviews of the proposal could conclude as early as August 2020. Karen Hadden, the executive director of the Sustainable Energy and Economic Development Coalition, told The Texas Tribune that announcement triggered renewed opposition to the project and is one of the reasons for the tour. The organizations involved — the Coalition of Community Organizations, Nuclear Information and Resource Services, Beyond Nuclear, the Sustainable Energy and Economic Development Coalition and Public Citizen — held a news conference by a railroad crossing in Houston, said Tom Smith, the special projects director of consumer rights advocacy group Public Citizen. Smith, who helped organize the tour, said in an interview with the Tribune that the news conference featured a 16-foot railroad container meant to replicate the transport cask that Interim Storage Partners would use to transport used nuclear fuel. The organizations instead want the used nuclear material to be kept at reactor sites in sturdier containers until a permanent storage site becomes available. Smith said the proposed project presents a number of risks. A railroad accident would be disastrous, he said, because it could expose the public to harmful radiation and could cost municipalities hundreds of millions of dollars to clean up. He also said nuclear waste on railcars running through densely populated areas like Houston, Dallas and San Antonio is at "high risk of terrorist sabotage." “Since 1965, more than 2,700 shipments of used fuel have been safely transported nearly 2 million miles across the United States — and there has never been a radiological release caused by a transportation accident,” Interim Storage Partners' website said. “We’re trying to raise awareness because a lot of people don’t know this is planned,” Hadden said. She also said she hopes the tour will encourage people to submit comments on the Nuclear Regulatory Commission's website before the Oct. 19 deadline. Interim Storage Partners' license application, which proposes a 40-year lease, is the second filed by the company. The first was submitted in April 2016, but its review was halted after Waste Control Specialists struggled to find the funds needed to continue with the application. Will Texas become final resting place for high-level nuclear waste?